Discussion in 'Power Supplies' started by jimcllc, Dec 19, 2012. With so many power supplies out there I always assume most of the time bigger is better. That being said, is this how I figure out what size power supply I need? I am assuming the WS2811 LED pixel node DC 5v will take a 5v power supply, while the5m led digital strip,DC12V input,WS2811IC would take a 12v power supply. I then assume I need to figure out how much power I am using (I think that is called current), convert it into watts, then get the proper power supply taking into account the 85% rule. If so this means I may be on the right track! yep your definitely on the right track. Basically all you need to decide now, is how many 2811 5v and 12v you will be running, that will ultimately decide for you, how many of each psu you will require, along with backups. For a bit of a guide from my display, I am running 723 pixels (12v 2801), and run these all from 2 x 350w psu's from Ray. Looks like you have been reading and researching because you are pretty much correct with your understanding. The only thing is bigger may not always be better. there is no need to have a 350 watt power supply for 1 or 2 strips. The power supply will only output what it needs. But on saying that i use just 350 watt Power supplies because i like to be able to have some extra capacity and also have a common power supply rating so if one fails i have a spare to do the job. Thanks Eddy, I have been doing alot of reading/researching. For every question I pose on here is usually preceded by lots of reading. I have decided to use http://www.circuitspecialists.com/ps1-150w-12-12-volt-power-supply.html for my psu's. I figured out I am running 82.5 watts (275 pixels) on one psu and 63.9 watts (213 pixels) on another psu. I will be using a network switch to run 2 ECG-P2 then each power supply goes with each ECG-P2. Sound correct? Not saying they are better or worse, but these will probably be cheaper even after shipping, and many people are using them with no complaints. Get the 350W and save money. Wow that is an awesome price Thank you so much for that link. 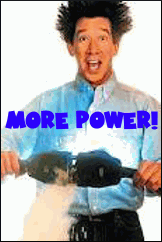 I'm going to get 2 of them and have more power!! !